David Herbert Richards Lawrence (11 September 1885 – 2 March 1930) was an influential writer, poet and literary critic. Highly controversial during his life, since his death he has gained a widespread esteem and is seen as one of the great modern novelists. He was born in a poor Nottinghamshire mining town. He was an outstanding pupil and gained a rare county council scholarship which enabled him to continue his studies at Nottingham High School. After working for a brief spell in a factory, he was able to get a teaching certificate and gained employment teaching. In 1912 he met Frieda Weekley (nee von Richthofen), and although she was married with three children they fell in love and eloped to the French town of Metz on the border of Germany. They would remain faithful life partners for the rest of their lives. He was suspected of spying whilst living in Cornwall and forced to leave. At the end of the First World War, he began his long and frequent travels around the world. He termed this period his ‘savage exile’ He travelled all around the world including various scenic parts of Italy and for several years in Mexico – where he hoped to establish a utopian community. However, a period of pneumonia, which affected him throughout his life, forced him to return to Europe. In died in 1930, aged just 45. His notable works include Sons and Lovers, The Rainbow, Women in Love, and Lady Chatterley’s Lover. During the period, many commentators felt D.H.Lawrence had wasted his talents in producing ‘pornographic’ works for which he became renowned. At the time of his death, few save E.M.Forster, A. Huxley and a few close friends defended his reputation as a great writer. However, following his death, opinion slowly changed as people came to recognise his contribution to modernist literature and the powerful impression that his novels left on the reader. A frequent theme of his works was the impact of modernity on man. He was particularly interested in how modern life had given supremacy to the mind. 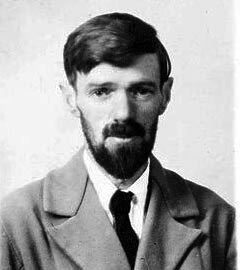 Though he is most famous for depicting sexuality in his books (he became a household name following the 1960 case to publish Lady Chatterley’s Lover) D.H.Lawrence was also interested in a range of subjects from psychology to religion. – Catherine Carswell summing up his life in a letter to the periodical Time and Tide published on 16 March 1930. Citation: Pettinger, Tejvan. “Biography of D.H. Lawrence”, Oxford, UK. www.biographyonline.net. Published 1st Feb 2009.